Professional translation of your degree to apply for employment, higher education. Specializing in Hebrew, Spanish, English translation. BBT Translation Services is an American translation agency located in Florida, USA. We provide translation for education of documents in over 30 languages such as Hebrew, Spanish, English and more. We can translate your degree professionally. When you order a translation from us you will get a mirror image of your document. We translate the logos, stamps, titles and any text in your document. Our translators are native speakers fluent in the language who provide professional translation of your documents such as translation of your diploma, transcript, degree, certification, certificate of completion, and our translations are accepted by colleges, universities, schools and any employment or government entity that requires a translation of your proof of education. Yes. All the translations are certified. The translation is inserted in our letterhead and it bears the stamp and signature of the agency. Notary signatures are available upon request. How Much will your Translation Project Cost? 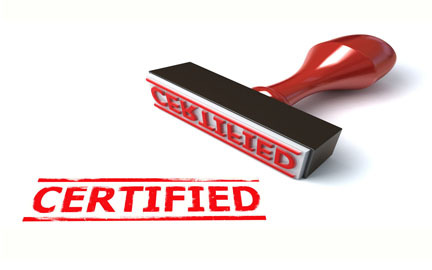 We translate any type of certificate that you can imagine. 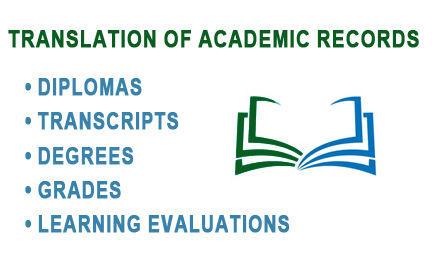 For example we translate: diplomas, matriculation certificates (Bagrut), completion certificates, degrees, licenses, transcripts, grade sheets, certfification of studies, basically - any certificate that you may have. All the translations are certified.